Play in this unique family friendly Catan tournament and see two historic houses while you're there! On March 3rd, enter Round 1 and Round 2 on this lively game in Ruthmere's Game Room. Then, on March 10th, go to the Havilah Beardsley House for Round 3 and a possible tie breaker if necessary. This tournament has been generously sponsored by Secret Door Games. Light refreshments will be served. 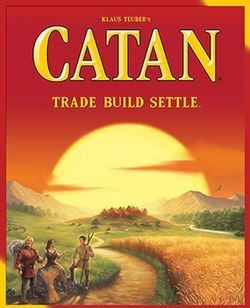 Meet 2-Time US National Catan Champion Bill Spear on March 3, from 2-4pm at Ruthmere, and bring your Catan memorabilia for him to autograph! 1. All players play all 3 rounds of traditional 10-point Catan games. No special or extension board rules apply. 2. Games will be played at tables of either 4 or 3 players per table. 3. Each round is concluded when the first player at a table reaches 10 points, and the other players' point totals are recorded at that moment. 4. Winner is determined by totaling up a player's accumulated point total over rounds 1-3. 5. If a tie exists between any of the first three positions, then the player's with the tied totals participate in a Tiebreaker 4th round. Cost: $10 per player for guaranteed 3 rounds of traditional 10-point games. Limit: Minimum of 20 players to conduct the tournament. Maximum of 60 players. Catan Boards Needed! You can help make this first time tournament a success by allowing use of your Catan Board for this two-day event. Please let us know if you have a board to lend.